MOTHERHOOD-INDUCED SCHIZOPHRENIA: THINKING YOU HEAR A BABY - ProudMummy.com the Web's Community for Mums. 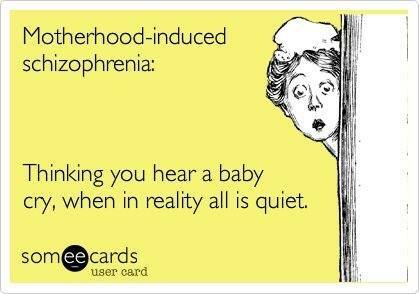 MOTHERHOOD-INDUCED SCHIZOPHRENIA: THINKING YOU HEAR A BABY CRY, WHEN IN REALITY ALL IS QUIET. Charlene Paterson Hamilton this is you! !